Insane aerial videos with Xiaomi Mijia Mi Sphere 360 camera! 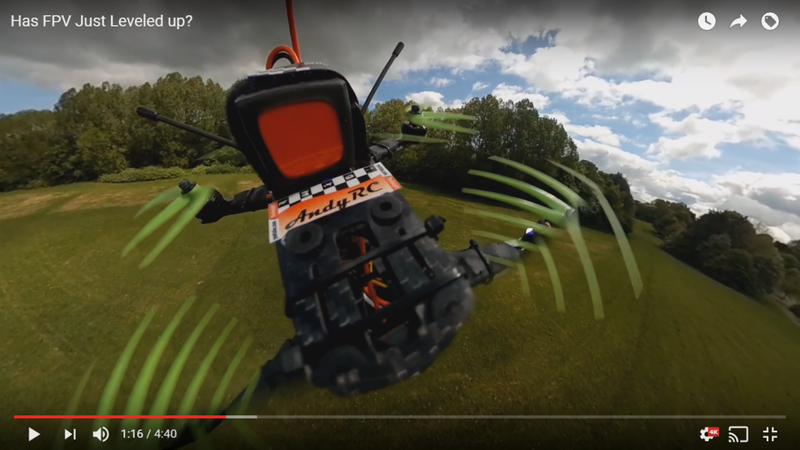 Drone vlogger AndyRC took the Xiaomi Mijia Mi Sphere 360 on his race drone and got some insane aerial videos! You have to see this! I’ll just let the videos speak for themselves. Don’t forget to pick up your jaw from the floor. The first video uses the Xiaomi’s stabilization while the second is unstabilized (I sent Andy an older version of the Xiaomi app). I thought they’re both amazing, although I thought the stabilized one was more eye popping. This innovative aerial video by Andy RC just shows one of incredible possibilities from the Xiaomi’s realtime image stabilization. The software is still quite picky at this point (allowing full resolution only on Snapdragon 820 and above), but the amazing things you can do with it make it worth getting a used Samsung S7 just to render it, in my opinion (plus you can use it for Samsung Gear VR). Xiaomi is still on sale for $255 at Gearbest (there are 3 days left). A used S7, especially with a cracked LCD or other cosmetic flaws can be found on eBay for under $250. Meanwhile, Garmin Virb 360 is being released in about 2 weeks, also with realtime stabilization. It is more expensive at $799, but it has more features than the Xiaomi. Mic! post a link to download the older android app please 🙂 the one that didn’t have stabilization. Hi Axel. I will email you the link. VRDL360 is a slim 360 camera with 7K photos and 3K videos; should you get one?